Over the years, we have been consistently supporting the industry’s young talents and welcomed students from Southampton Solent University (Lauren and Abigail), and Bournemouth University (Elena) to gain experience and kick-off their careers through work placements in our office. We are strong believers that PR professionals have the responsibility to engage with students and advise how to kick-start their careers. For this reason, we see engaging with students as a two-way process: professionals help students develop a variety of skills through opportunities in the working industry, and students bring fresh ideas and creativity to the table. 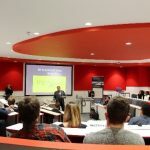 One of the easiest ways to achieve professional-student engagement is through networking events such as ‘Meet the Professionals’ hosted by Southampton Solent University and Bournemouth University. Co-organised by CIPR Wessex and the PR Society from each university, the events offer a relaxed environment for current professionals to advise future professionals how they can take the first steps in the industry. 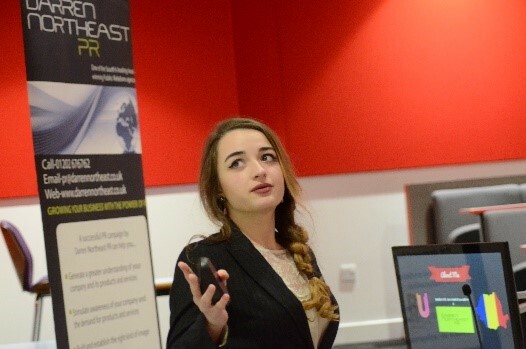 The first event as such we attended this year was the Solent University ‘Meet the Professionals’ on 7th February. 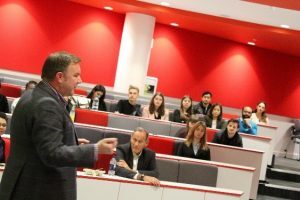 Held in their ‘Spark Building’ the event allowed both students and professionals to spark discussions on industry news, career pathways and how to penetrate the working industry. 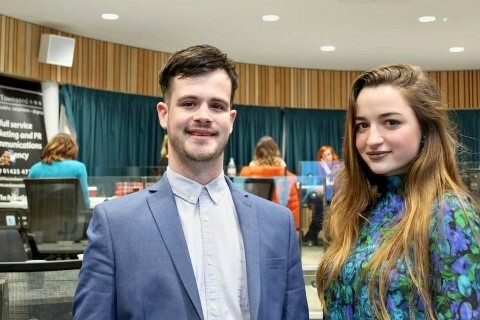 The event kicked-off with a series of presentations from selected professionals where Darren explained what it is like to run a small PR agency and Elena shared her experience as a student placement. 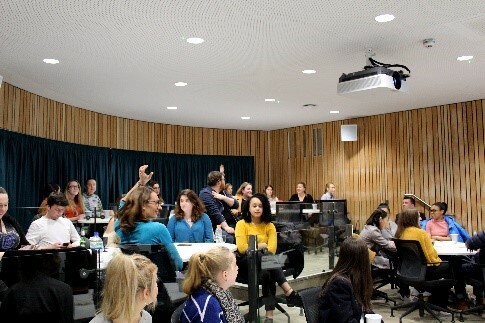 The presentations were followed by a ‘speed-dating’ exercise where second-year PR students had the chance to sit down with a vast variety of professionals and obtain advice on how to obtain an industry placement. 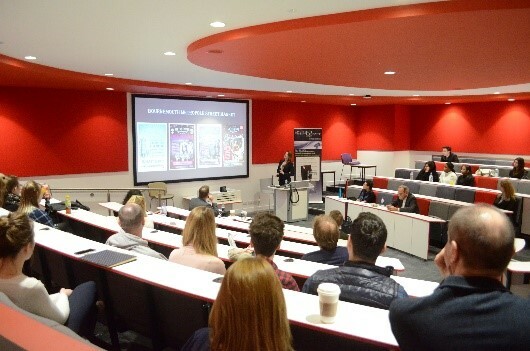 At Bournemouth University’s event, held on 6th March, the fusion between students and professionals happened in the Fusion Building. At Solent, we met second-year students who were looking for advice on how to obtain a placement or internship, at Bournemouth we got to see a mix of students, from first, second and final year, each with different career aspirations and questions. 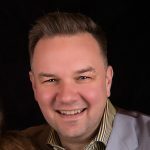 At this event, the DNPR team offered advice to students from two distinct perspectives: Matt from the perspective of an Operations Director and Elena from the perspective of a placement student at the start of her career. Both events were successful, and we really enjoyed attending. Meeting students in such an environment helps to raise the profile of your business while helping the next generation of professionals.